40 minutes free video! 3-hour Tai Chi Ball Qigong video lessons with Master Yang, Jwing-Ming (YMAA). Offers in-app purchase. Stream or download video lessons with this new smaller app format. 12 chapters of follow-along video to stream or download. This whole-body workout is a natural way to improve your health and strength. This Qigong exercise is an effective way to quickly rebuild the entire body's physical structure and increase your Qi (energy) circulation. Whatever your fitness level, Tai Chi Ball Qigong is an easy way to improve your daily quality of life. Dr. Yang, Jwing-Ming is a world acclaimed master of Tai Chi and Qigong and he personally guides you through a series of Tai Chi Ball Qigong easy-to-follow movements. These simple breathing methods and exercises should first be practiced with empty hands. As you develop the strength and flexibility of your torso and spine, you may choose to add weight over time by holding a ball in the hands. The ultimate goal is to develop abundant Qi (energy) throughout the body and feel your energy in the space between your palms. This free app gives you nearly 20 minutes of free video and offers an opportunity to get the full 180-minute video at the lowest possible cost. 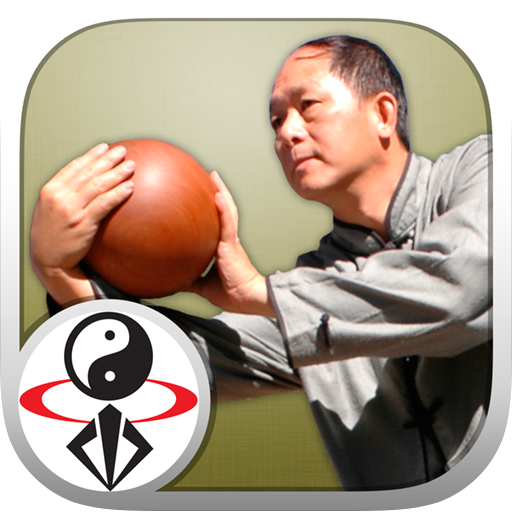 Now you can practice Master Yang's popular Tai Chi Ball Qigong exercises using your phone or tablet. After learning from your free videos, you may access the full-length program with a single in-app purchase. In the 3-hour video, Master Yang will teach you how to choose a Tai Chi Ball, Qigong Breathing techniques and many Tai Chi Ball Circling and Rotating Patterns you can use to quickly improve your fitness. Whether you are a beginner or a Tai Chi master already, these amazing Qigong exercises offer the perfect combination of relaxation and full-body exercise. You'll enjoy reduced stress, a stronger immune system and a deeper awareness of breath and body coordination. Tai Chi, or Taiji, is short for Tai Chi Chuan, or Taijiquan, which translates from Chinese to "Grand Ultimate fist". Tai Chi is an internal-style Chinese martial art that can be traced back to the Chen family, the Daoists at Wudang mountain and ultimately to Shaolin Temple. When practiced slowly for health purposes, Tai Chi is a type of Qigong. Qi-Gong means "energy-work". Qigong (chi kung) is the ancient art of building the body's Qi (energy) to a higher level and circulating it throughout the body for rejuvenation and health. Some Qigong is practiced sitting or standing still, while other Qigong can be a kind of moving meditation. This gentle Qigong exercise is a highly effective way to reduce stress, increase energy, enhance healing and generally improve your quality of life. Qigong increases the quantity of energy in the body and improves the quality of your circulation through energy pathways, known as meridians. Qigong is sometimes called "acupuncture without needles." Similar to yoga, Qigong can stimulate the entire body deeply with low-impact movement and develop a stronger mind/body connection. The slow, relaxed movements are widely recognized for their health benefits, such as boosting your immune response, strengthening the internal organs, muscles, joints, spine and bones and developing abundant energy. Qigong can be effective in helping people with insomnia, stress-related disorders, depression, back pain, arthritis, high blood pressure and problems with the immune system, cardiovascular system, respiratory system, bioelectric circulatory system, lymphatic system and digestive system.